Located in the old Green Apple location on Main Street, Angel’s Catering is in the heart of downtown East Point, across from the East Point MARTA station. Angel’s Catering offers everything from bagels and croissants for your morning meeting to boxed meals for your next lunch meeting to lavish business party, special event or wedding catering. With Angel’s Catering, you don´t need to be a sitting head of state or royal diplomat; but we will certainly make you feel like one. From a simple outdoor barbeque to a high society wedding or high level corporate event, Angel´s Catering will be there for you every step of the way,” said Ramirez. Chef Ramirez trained at the world famous Le Cordon Bleu College of Cullinary Arts and at the prestigious Culinary Institute of America in New York. 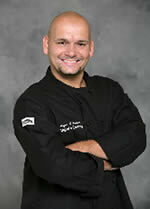 With over 15 years of experience, Ramirez has trained and cooked with the best of the best from around the world. 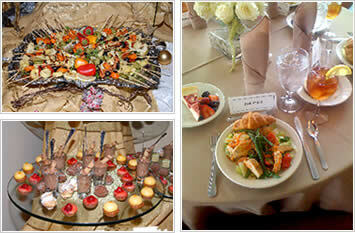 Angel’s Catering is offering 10% off of your first purchase (Minimum 10 meals) from their corporate catering menu. Call or email them today at myevents@angelscatering.com! 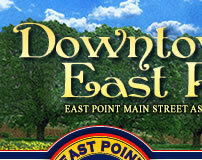 Support a downtown business! Give them a try for your next event or business meeting catering needs!